Collins Paperback Dictionary and Thesaurus is the perfect reference book to broaden users' knowledge, and is ideal for everyday use. 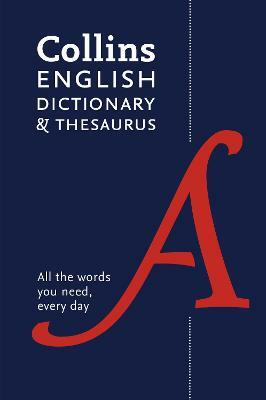 Collins Paperback Dictionary and Thesaurus is the perfect reference book to broaden users' knowledge, and is ideal for everyday use. Drawn from Collins' 4-billion-word database of today's English, Collins English Dictionary and Thesaurus combines a comprehensive dictionary with all the alternatives and opposites the user needs. The book is designed for ease of use, with thumb tabs on every page and all entry words highlighted in bold. This layout means that you can be sure to find all the information you need in the quickest time possible.